The Caffe Corso ESAM2800 by Delonghi is a machine we’ve been meaning to write up for some time, and finally we’ve got to it. It initially appeared on the big retailer websites a few months back (we’re writing this in November 2017), but it’s only just starting to become clear that it’s going to be a big hit. Initially it seemed to be selling along side the ESAM2600, but now that latter model seems to be taking a back seat, allowing the newer ESAM 2800 to really take its place in De’Longhi’s range. Let’s be clear from the start here, we view this machine as the entry level offering to suit those on a low budget – our preferred machine is still the one that tops our best buy table on the homepage. You can read our Magnifica ESAM4200 review here. Like our other reviews, we’re going to look at the machine from a couple of perspectives. Firstly, we’ll be talking about the features of the machine, which is effectively a factual run down of what you get. While we do put our own slant on the features and what they’re good for – the real value comes in the second half of the review – our summary of what the other owners say. After all, what you really want to know is how the machine is going to work in real life, not on the shelf in a store! Let’s get underway, then, by having a look at those features, and why they’re important in your new coffee machine. Coffee beans go into the top of the machine, ready to fall into the grinder when the machine’s in use. We’d recommend not putting too many in unless you use the machine a lot, as the beans tend to remain fresher if they’re stored in an airtight container (once their original packaging is opened). Naturally, different people like their coffee at different strengths, and the ESAM2800 has you covered. There are two dials at the centre of the control panel, the first to set the length of the coffee (how big your drink is in layman’s terms!) and the second selects the strength. The strength of your drinks will be determined by a combination of the configuration of the integrated bean grinder and the brewing pressure (more on that in a moment). Once you’ve chosen you coffee strenth and length, just hit the single or double cup button and the Caffe Corso will set work brewing your coffee and dispensing into the cup(s). If you’ve owned a bean to cup coffee machine before, you’ll know how they work, and certainly have a strong idea that you’re not going to need to plumb this in to the water supply. While that may be the case with commercial machines, virtually all domestic bean to cup’s work with a water chamber that can be removed an filled from the tap. From time to time we hear from readers that swear by using bottled water for its purity, but that’s really not necessary – and we’ll hazard a guess that if you’re looking at a low end Delonghi machine like this Caffe Corso, you probably aren’t going to be looking to spend a fortune on bottled water either! The tank holds 1.8 litres of water full, enough for a good few cups. As a general rule, we’d also recommend emptying it out regularly and refilling the tank from empty, as you don’t want to be letting water sit in the tank for long periods to then make coffee with. It’s really easy to do, just something that some users don’t think about. Coffee brews best under pressure – it’s as simple as that. The ESAM2800 packs a decent punch with 15 bar pressure in this department – in fact, that’s a common trait of the Delonghi machines as a whole. Without getting too technical, the bar system measures pressure relative to the ‘normal’ air pressure at sea level. Therefore the pressure level we’re talking about forces the water through the coffee grinds (after the beans are ground) at a pressure of fifteen times that base level. The reason for 15 bar is also relatively simple – too much pressure and the water moves too fast through the coffee, causing the result to be too weak, and vice versa. To a degree, variation of this technique can also be used to vary coffee strength, but the fine tuning is quite delicate. Fortunately, bean to cup machines handle a lot of this for you, meaning you can simply turn a dial to adjust the strength. The cleaning requirements for this machine are fairly straightforward and well documented in the manual. A complete clean will take up to 15 minutes, but the more regular duties simply involve the automated functions. 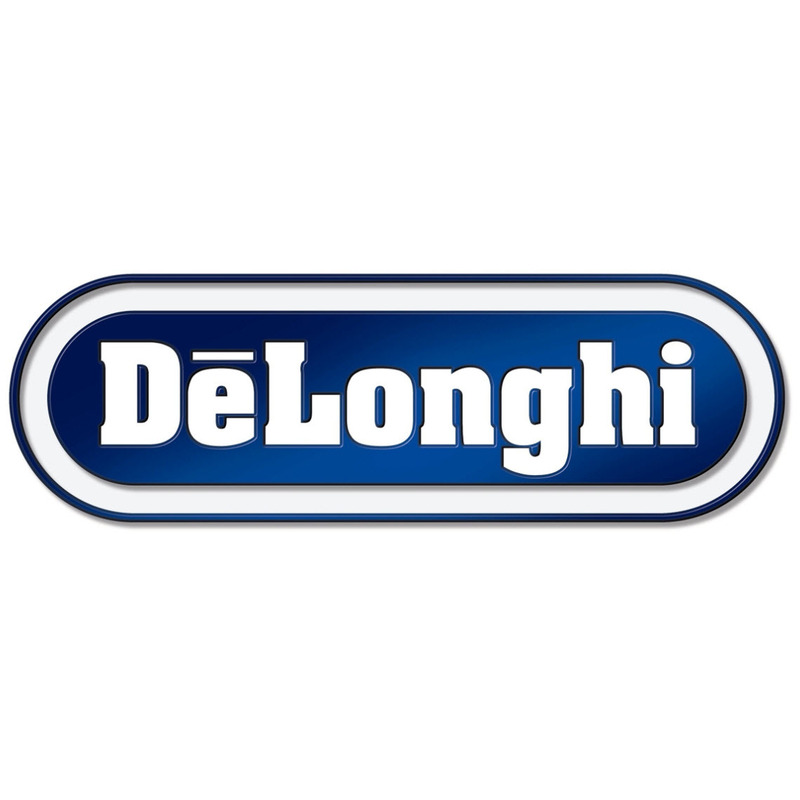 After making coffee, the machine can rinse itself through to help reduce the build up of residue inside the innards of the machine, and there’s also a descale function available (Delonghi also make their own descaler liquids). A lot tends to be made of adjustable nozzle height in the world of coffee machines, and while it is important, the chances are that it’s something you’ll set and forget. Unless you have a cupboard full of odd sized mugs, you’re most likely to get it to where you want it as you get used to your new machine and leave it at that. If you’re a fan of milky coffee (especially cappuccino), you’ve probably been waiting to hear about the frother. It’s dead easy to use, and effective for smaller amounts of milk. It’s probably worth noting though, if you’re looking for something do make a regular large latte, you might want to consider something more powerful, like the ESAM4200 or the ECAM44.660.B. Of course, you’re able to experiment to your heart’s content to create the perfect creamy result to your coffee, the ESAM2800 is quite versatile in that regard. One thing we noticed when we started this website is how few place there are on the web that really take previous customers into account. While lots of sites have now followed our lead, we still believe that the true experts are those that have used the machines in their everyday lives, not us who sit behind our computers typing it all up for you (although we do drink a lot of coffee as we do so!). So, let’s move on now to what customers say about the ESAM2800, all broken down into bite sized sections for you. The stand out message from previous customers is that the ones that were nervous about what to buy ended up very pleased with their purchase. Common themes include being up and running in half an hour, and being impressed with how much better than instant coffee the immediate results were. Of course, perfecting a coffee is something that takes time with tweaking the dials, but if you’re looking for something that gets good results quickly out of the box, the ESAM2800 is a good choice. Moving from the stand out plus to the stand out minus, cleaning routines seem to be a surprise to many. All machines need attention, but some more than others. Particularly if you live in an area where the kettle fuzzes up regularly with limescale build up, you’re going to need to stay on top of things with this Caffe Corso. If that’s a concern for you, maybe look at another machine that can use a softener like the ECAM44.660.B in this Eletta review. An interesting comparison is drawn by a couple of comments to the earlier Delonghi ESAM2600 in that it’s an equivalent model. Also, there’s an implied message of note here, in that if customers are choosing to buy the ESAM2800 after they previously owned the ESAM2600, then presumably they must have been happy with the original machine in order to choose this model. Similarly, if they’re seeing this as an improvement (or an upgrade as one person put it), then that’s a feather in the Caffe Corso’s cap. In reality, the main difference seems to be the ESAM2600 is black, whereas the ESAM2800 has more stylish silver panelling on the front of the machine. It’s a similar story to the ESAM4200 vs ESAM4000.b models. While this machine has a compartment for ground coffee (you can’t use the top compartment as it would result in the coffee passing through the grinder), the reviews for the results of using this are far from great. If you’re wanting to use ground coffee, look at the ESAM4200 or be prepared for clearing out clogged up remains after use. We’re making the point several times in this review, but as it comes up in the customer reviews and comments it’s worth reiterating. The most basic way to compare machines is by price, as it’s no secret that you get what you pay for. As such, the ESAM4200 is the more expensive machine, and it shows if you compare like for like, particularly as the smarter looking of the two. Ultimately, what it comes down to is two questions. Firstly, can you afford the slightly more expensive ESAM4200? Secondly, are you happy to pay that little extra for a step up in quality? If the answer to both of those is yes, you need to be looking here instead! The point of note here is ‘manual’. If you like automated results, the ECAM44.660.B is a much better choice, and like the point before, you’ll pay extra for that step up. If you’re happy to do the work yourself (if you can call it work), then Delonghi’s milk wands are actually among the better ones on the manual machine market. What’s more, for the price of their machines they’re pretty much unrivalled, so if you like coffee’s with milk, these are a great choice to consider. Expert baristas will always use cups that are pre-warmed before the drinks are dispensed. Most people understand that you need to use very hot, but not boiling, water to make great coffee, so why do so many people use cups and mugs that have been sat for long periods at room temperature? It makes no sense! While this machine doesn’t provide any means of warming cups for you, hot water from the kettle or microwaves can do the job for you. Another sneaky trick is to take them straight from the dishwasher – some cycles finish with the cups almost too hot to pick up! This machine is a tough call. It’s really good at what it does for the price, but it just doesn’t quite offer that extra value that its big brother the ESAM4200 does. To be blunt about it, check the prices of both, and see if you can afford the better machine over this one. Of course, if you’ve more to spend, there are even better options like the ECAM44.660.B or the Barista TS (a really good machine, but pricey). Fundamentally, this is an entry level machine for people that are either very new to bean to cup and don’t want to spend too much, or simply want something a little better than instant to enjoy and share with visitors. It’s certainly not a bad machine, far from it, but typically you can get a bit more from the ESAM4200 for not a lot more money.